The 2018 Winter Meetings culminated today with the Rule 5 Draft in Las Vegas. The Cubs passed in the major league part of the draft and no team selected a Cub prospect. 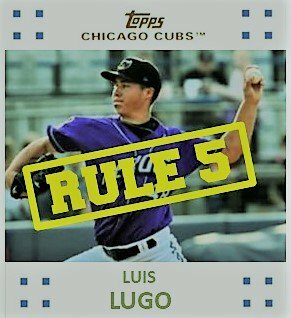 Trevor Clifton, Erick Leal, Jordan Minch, Jhonny Pereda, and many more will still be Cubs when spring training opens in late February. However, the Cubs’ minor league system was not so lucky in the MiLB phase. Relief pitchers David Garner and Yapson Gomez were taken respectively by the Blue Jays and Indians. In addition, former Cub Jeffrey Baez was taken by Arizona. The Cubs took three players in this portion of the draft. 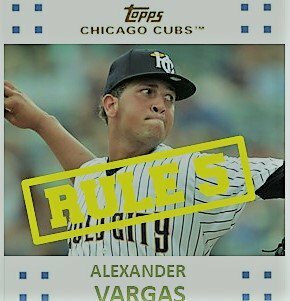 The trio is an odd mix of picks to be taken as only one of them has played beyond high A. Vargas will probably be assigned to AA Tennessee to start next year while Lugo and Lorenzo should be at Myrtle Beach to begin the year. Considering the strength of the Cub system is starting pitching, it was a bit weird for the Cubs to select two arms this year. Maybe the Cubs are just adding to their depth, or the Cubs could be converting the two to the bullpen. It’s a bit early to tell. 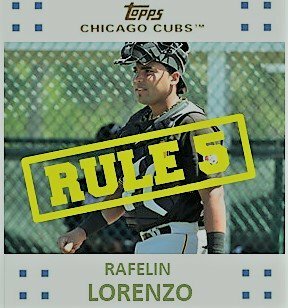 As for Lorenzo, he only played 33 games in 2018 behind the plate. That’s not a lot of ABs or experience. However, the Cubs did have a bit of a shortage last summer after the draft at the position. 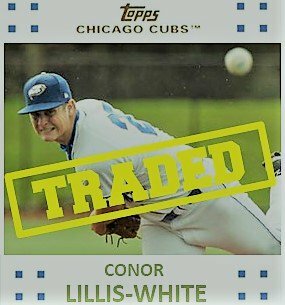 The Tommy La Stella trade was completed today as the Cubs received lefty reliever Conor Lillis-White. He’s 6’4” and 220 lbs. with some good experience at AAA where he struck out 12.54/9 last year and he has an XFIP of 3.59. Then again, he has a propensity to give up the long ball. He gave up 5 in 37.1 IP at AAA. His future, though, is probably as a loogy. He is deadly against lefties who only hit .179 off him at AAA. That’s outstanding.